Tern, a joint program between DARPA and the U.S. Navy’s Office of Naval Research (ONR), seeks to greatly increase the effectiveness of forward-deployed small-deck ships such as destroyers and frigates by enabling them to serve as mobile launch and recovery sites for specially designed unmanned air systems (UASs). 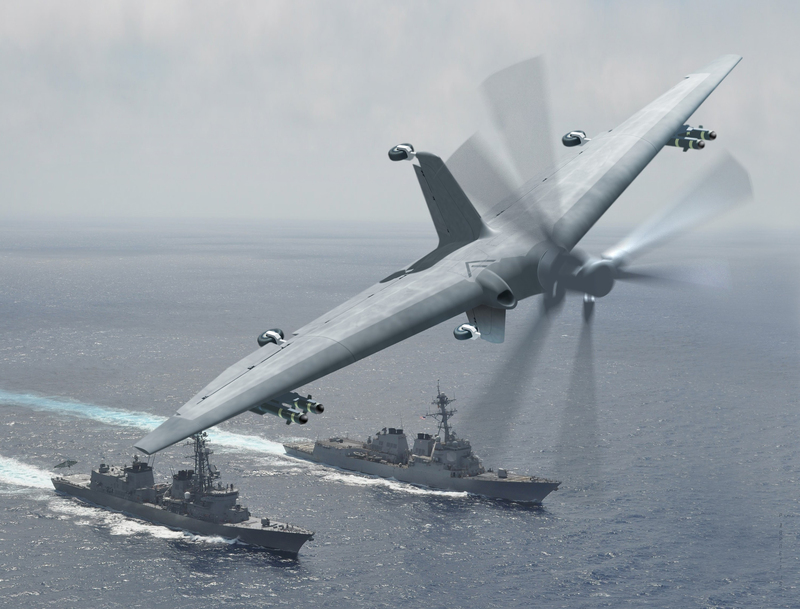 DARPA last year awarded Phase 3 of Tern to a team led by the Northrop Grumman Corporation to build a full-scale technology demonstration system. The program has since made significant advances on numerous fronts, including commencement of wing fabrication and completion of successful engine testing for its test vehicle, and DARPA has tasked Northrop Grumman with building a second test vehicle. «DARPA has been thinking about building a second Tern test vehicle for well over a year», said Dan Patt, DARPA program manager. «Adding the second technology demonstrator enhances the robustness of the flight demonstration program and enables military partners to work with us on maturation, including testing different payloads and experimenting with different approaches to operational usage». Wing fabrication: Since Phase 3 work started at the beginning of 2016, Tern has finished fabricating major airframe components and anticipates final assembly in the first quarter of 2017. 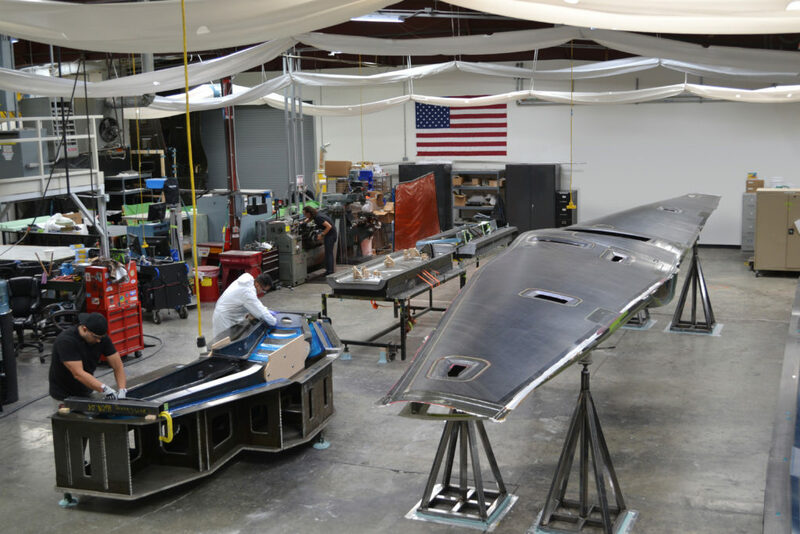 Once complete, the airframe will house propulsion, sensors, and other commercial off-the-shelf (COTS) systems to make up the full-scale technology demonstration vehicle. Engine tests: In Phases 2 and 3, Tern has successfully tested numerous modifications to an existing General Electric engine to enable it to operate in both vertical and horizontal orientations. This type of engine was chosen because it is mature and powers multiple helicopter platforms currently in use. Software integration: This summer, Tern opened its Software Integration Test Station (SITS), part of the System Integration Lab that supports software development for the program. The test station includes vehicle management system hardware and software, and uses high-fidelity simulation tools to enable rapid testing of aircraft control software in all phases of flight. The SITS is helping ensure the technology demonstration vehicle could fly safely in challenging conditions such as launch, recovery, and transition between horizontal and vertical flight. Additional tests are about to start. A 1/5th-scale version of the approved vehicle model is in testing in the 80’ × 120’ wind tunnel at the NASA Ames Research Center’s National Full-Scale Aerodynamics Complex (NFAC). Data collected during this test will be used to better characterize aircraft aerodynamic performance and validate aerodynamic models. «We’re making substantial progress toward our scheduled flight tests, with much of the hardware already fabricated and software development and integration in full swing», said Brad Tousley, director of DARPA’s Tactical Technology Office, which oversees Tern. «As we keep pressing into uncharted territory – no one has flown a large unmanned tailsitter before – we remain excited about the future capabilities a successful Tern demonstration could enable: organic, persistent, long-range reconnaissance, targeting, and strike support from most Navy ships». DARPA (Defense Advanced Research Projects Agency) has awarded prime contracts for Phase 2 of TERN (Tactically Exploited Reconnaissance Node), a joint program between DARPA and the U.S. Navy’s Office of Naval Research (ONR). The goal of TERN is to give forward-deployed small ships the ability to serve as mobile launch and recovery sites for medium-altitude, long-endurance Unmanned Aerial Systems (UASs). These systems could provide long-range Intelligence, Surveillance and Reconnaissance (ISR) and other capabilities over greater distances and time periods than is possible with current assets, including manned and unmanned helicopters. Further, a capacity to launch and retrieve aircraft on small ships would reduce the need for ground-based airstrips, which require significant dedicated infrastructure and resources. 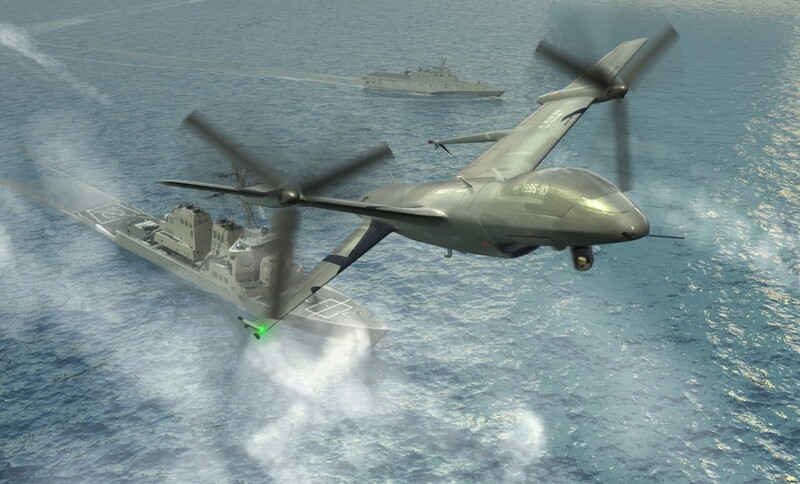 The two prime contractors selected by DARPA to work on new systems are AeroVironment, Inc., and Northrop Grumman Corp.
the ability for such a UAS to transition to efficient long-duration cruise missions», said Dan Patt, DARPA program manager. «Tern’s goal is to develop breakthrough technologies that the U.S. Navy could realistically integrate into the future fleet and make it much easier, quicker and less expensive for the Defense Department to deploy persistent ISR and strike capabilities almost anywhere in the world», added Dan Patt. The first two phases of the TERN program focus on preliminary design and risk reduction. In Phase 3, one performer will be selected to build a full-scale demonstrator TERN system for initial ground-based testing. That testing would lead to a full-scale, at-sea demonstration of a prototype UAS on an at-sea platform with deck size similar to that of a destroyer or other surface combat vessel. Unfortunately, DARPA has restricted the bidding teams from revealing most details about their aircraft proposals, said Stephen Trimble, Flightglobal.com reporter. The agency has released an image of an artist’s concept for a notional TERN vehicle. 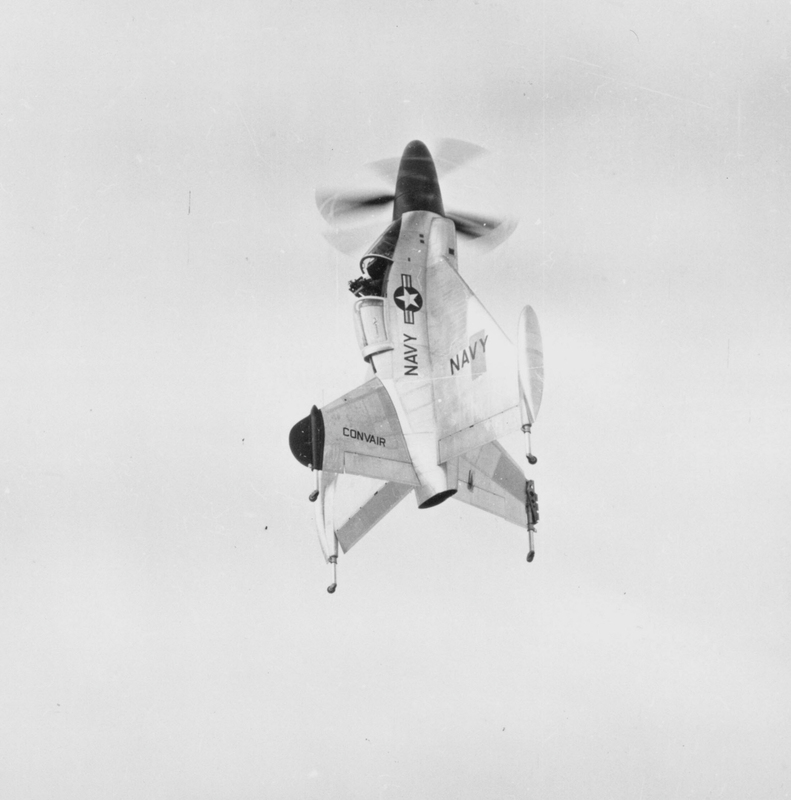 It reveals a tail-sitter, twin-engined design resembling the General Atomics MQ-1 Predator, Unmanned Aerial Vehicle (UAV) built by General Atomics and used primarily by the United States Air Force (USAF) and Central Intelligence Agency (CIA). The artist’s concept demonstrates a sharply dihedral mid-wing and the Predator’s familiar anhedral stabilisers. The new vehicle is shown equipped with a visual sensor.